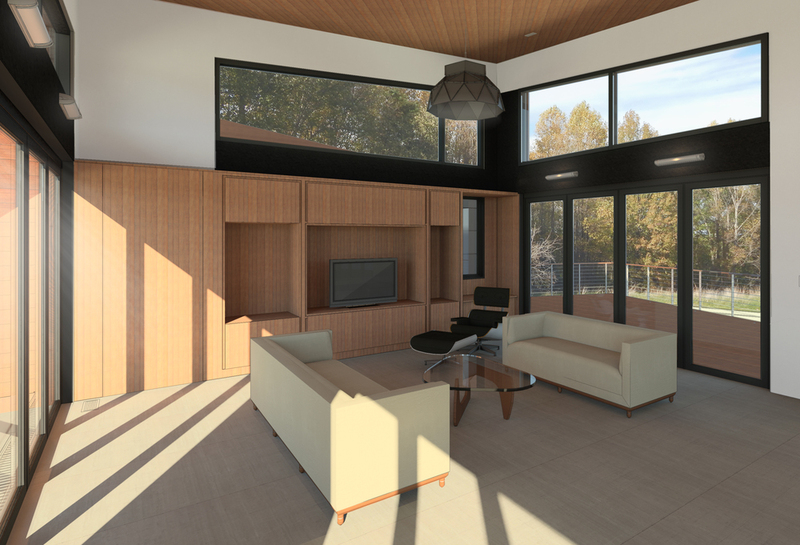 archi-TEXTUAL is designing a new house on a rural site in Maryland! In Plan, the house is shaped like a barbell with the master suite on one end and the garage and studio on the other. The main volume in the center of the house is open and tall with a butterfly roof; containing the living room, dining room and kitchen. Large glass doors and windows on either side of the house allows the homeowner to feel to connected to the surrounding landscape.